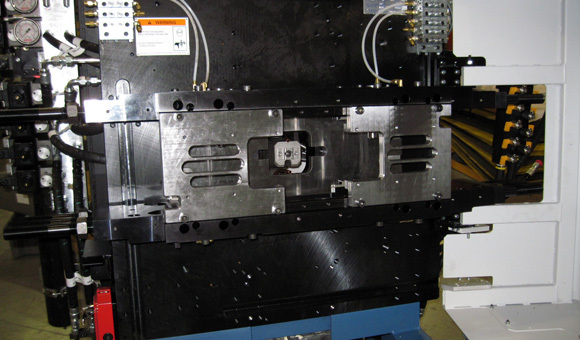 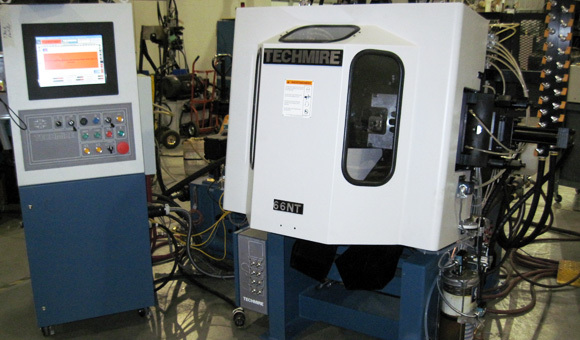 Techmire introduced the first of its NT Series of multiple-slide, high precision, hot chamber die-casting machines in 1994. 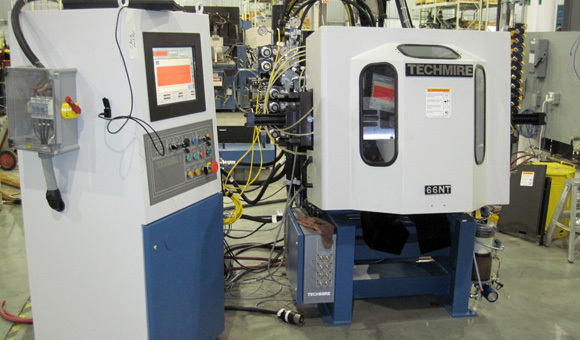 These machines are fully automatic, and can be used for the die-casting of zinc and lead alloys. 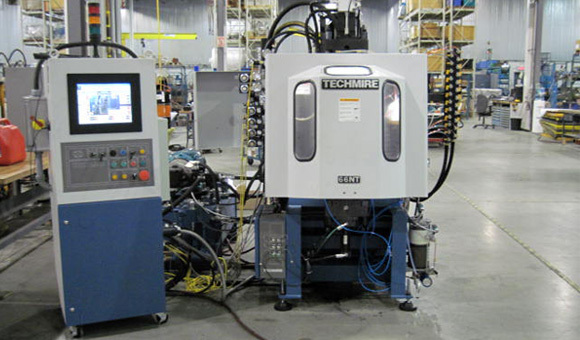 The NT Series superseded the H Series, production of which stopped in 1998, although the earlier machines are still fully supported. 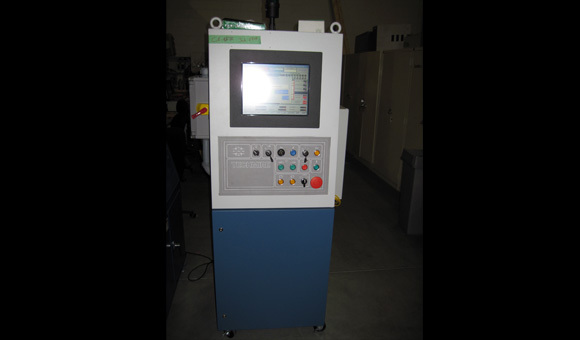 The NT Series are general-purpose machines, and have been improved continuously since first being introduced.